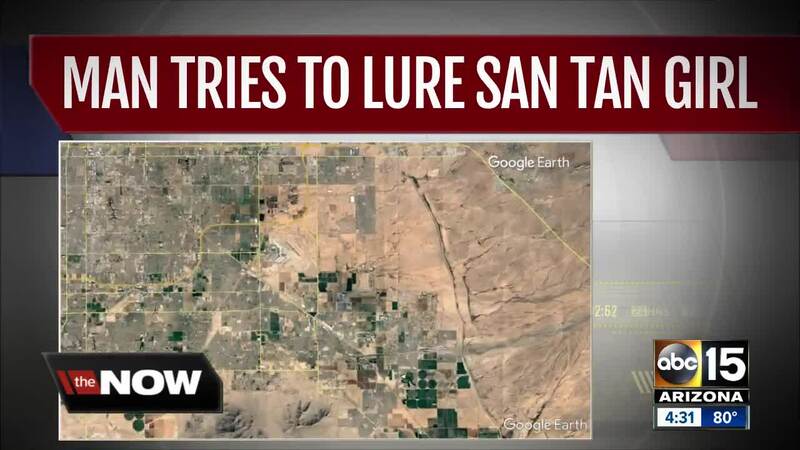 Man tried to lure 10-year-old girl in San Tan Valley, fled after not knowing "code word"
Authorities are asking people to be on alert after a man in a white SUV attempted to lure a 10-year-old girl in San Tan Valley on Wednesday. According to the Pinal County Sheriff's Office, shortly before 4 p.m., a 10-year-old girl was walking with a friend near a park in the North Pecan Creek neighborhood near Gantzel and Ocotillo roads when a man driving a white SUV pulled up next to them. The man reportedly told the girl that her brothers were in a serious accident and that she needed to go with him. The girl then asked the man what the "code word" was, but the man did not know and drove off. "Kudos to the parents of this child for having a code word and talking about to their children about stranger danger," said Sheriff Mark Lamb. "We hope by putting this out, it will encourage parents to have that conversation and create a plan with their children, so they know what to do if they are in that situation." The SUV has been reportedly seen circling the park several times a day according to children who live in the neighborhood. “This is generally what I consider a pretty safe area, I’ve never heard of anything bad,” said Patrick McDonald, who lives nearby. “This one time, it saved my daughters life,” said Brenda James, the girl’s mother. 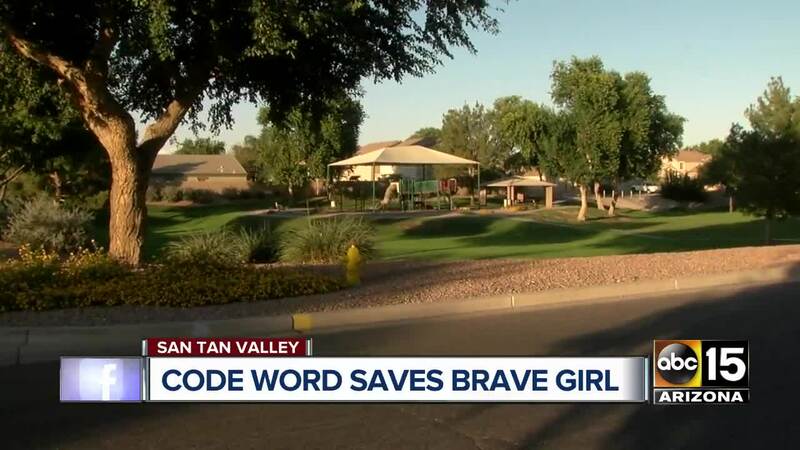 James talked to ABC15 and the media so that other parents could learn about code words as she did. “We actually just came up that few months ago. So it was something really recent from a story that I read,” James said. The man is described as being possibly in his 40s, with a short beard. The man reportedly covered most of his face with his hand while talking to the girl to conceal identifying features, officials said. “I’ll definitely be going home and having a talk with my daughter and developing a code word at the very least,” said McDonald. Anyone with information or sees the suspect, you are asked to call PCSO at (520)-866-5111 with any information.